Contact us for large parties or special events. 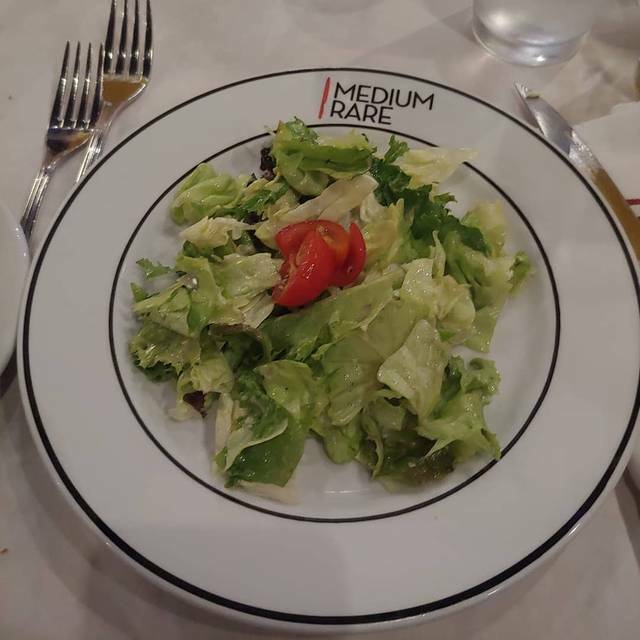 During the evenings, Medium Rare offers a unique, prix fixe dinning experience of artisan bread; a mixed green salad; prime, dry-aged steak; and hand-cut fries in a relaxed, fun, neighborhood environment. As we do only one thing, we do our best to make the food and experience exceptional and also a good value. There are only a carefully selected wines, spirits, and draft beer choices. We offer an off-menu vegetarian option. 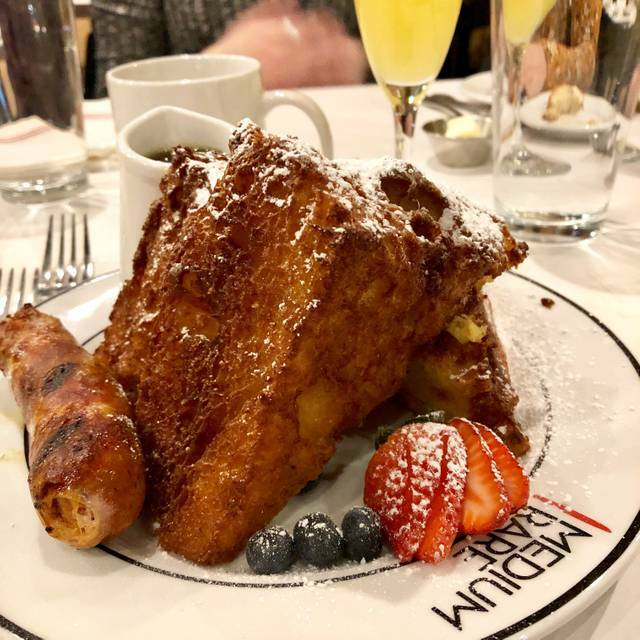 Yes, we do serve brunch on Saturday and Sunday with a great prix fixe including "The Best French Toast in DC", Steak and Eggs, Eggs Benedict and bottomless bloody Marys, mimosas and screwdrivers. My coworkers and I loved the staff attentiveness, delicious food and the fun atmosphere! Wonderful ambiance and service. The red wine was delicious. The food was consistent and tasted great. One of our favorite brunches when we want to splurge. This was my first time at Medium Rate for brunch and it was delicious. Half of our group got the French toast and loved it, the rest got steak and eggs and also enjoyed their meal. We arrived at 11am and it was fairly empty but every table had a place setting at it, they were all filled by the time we left around 1. Brunch but poached eggs were very undercooked! One person returned 2x before getting it right. Other two didn’t eat them. Steak and dies were good. It was OK. I was not a fan of the table we got. We made reservations for Valentines weekend like a month in advance. They had tons of other table available and they give us one that is next to this big shelf were they put wine glasses and the water pitchers. It was really scary because they kept rearranging stuff on it and something could have fallen on my head. Then our waitress disappeared for a while. The food is ok but nothing extraordinary. Overall is not bad but its not great. 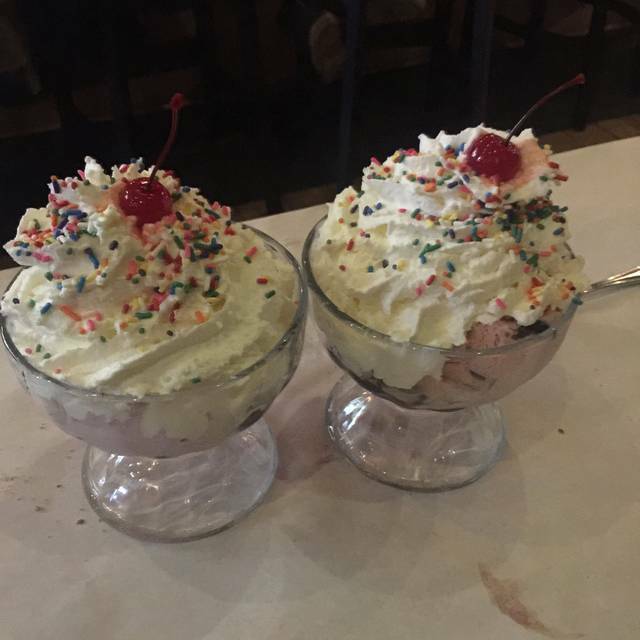 We came in with two young kids and the staff was very accommodating and helpful in making our meal easy and fun. Great service and very friendly servers who were efficient and patient. Let us eat at our pace but made sure our food came out as soon as we were ready and were very attentive. Didn't immediately check us in when we sat down which led to some confusion but overall a pleasant experience. Worth the money. Kim was the best waitress by far! The bottomless mimosas were, indeed, bottomless. I thought the fellow at the door when we went in was a little rude, he didn’t let me finish 2 sentences but the food and service were good. I just wish we were told they give you only half to start then bring the second half of your meal. 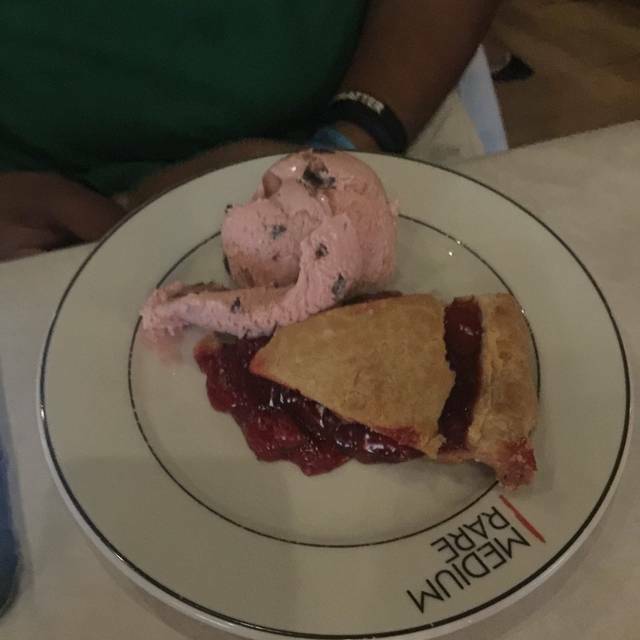 Dessert was also very good. Went for brunch. The food was awesome but the drinks weren’t great. The mimosas were very weak. Go there expecting good food not a fun party like brunch. Medium Rare is one of my favorites and always great. The steak on Sunday night was a little gristly but service was great! What award winning brunches? I was very disappointed in the eggs Benedict, my friends were all very disappointed in how watery the eggs were. By the end my plate was covered in gooey egg stuff, so were my friends' who ordered steak and eggs. A great, unique restaurant with a simple, delicious menu. The vibe feels more casual to me than I expected, but the food was good. Alcohol (liquor) options are limited, but I enjoyed the wine I had. Great service from friendly and professional bar staff! I can’t wait to go back! Great place! Fixed menu - great to not have to think about what to get. They do what they do well! The experience is a little faster than your usual sit-down place because you don't need time to decide on anything, and they move you through quickly, still a solid night out! Would go back again for sure. Our server was awful. But, the other staff helped make up for her obvious lack of abilities. She didn't appear to like when we asked questions, she didn't bring us things we asked for, and she made faces like what we were asking for was hurting her. The busboy, bartender, and other wait staff did step up to make our dinner better. But, if all staff were like her, this place would be in trouble. The food was, as always, delicious and plentiful. We had a great meal! I'm thinking the server was off that night because there's so many great reviews on the service. We didn't get our bread until my husband got up, tracked the server down and asked after we had our dinner (The first round. Love that they come around again and fill your plate. They don't need to but it's cool.) If it wasn't considered the first course of the meal on the pre-fix we wouldn't have thought too much about it. And being there's only one thing on the menu we felt overlooking it was interesting. Ordered coffee and dessert and the coffee was stale and not hot. I do feel like a server should be able to tell when they pour it whether it's worthy of serving. No steam means no serve! Then our bill was someone else's after the server checked it in front of us and said "yes, this is yours". It clearly wasn't. Just felt like we had to lead them in the right direction through the meal more than we should have. We would go back and give them another shot for sure. Bloody Mary was just tomato juice with a splash of vodka. Food came out super rare and had to send it back, but it was great when it came out again. Service was abysmal for New Years brunch. Server was forgetful and flat out rude at times. Food was okay, though the sausage in one dish was burnt. Mimosas were weak. Overall, would not go again for brunch. 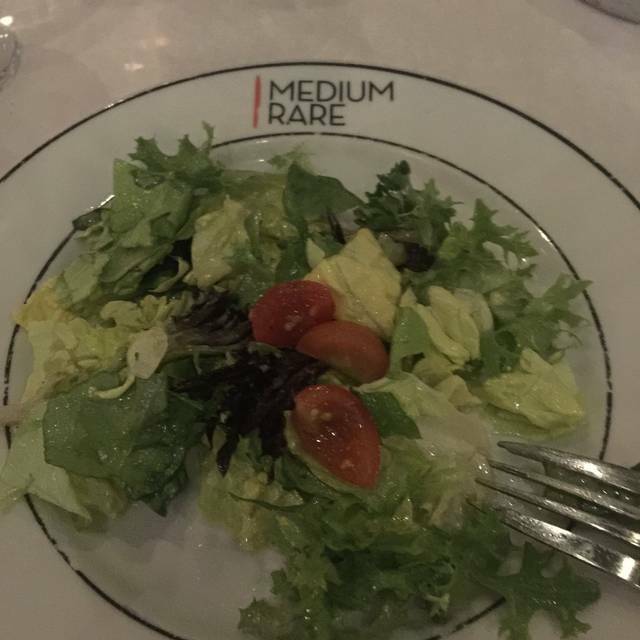 I always like Medium Rare, but the service was underwhelming this trip. It was NYE, but I still think the staff could have been more attentive. We felt a little forgotten. Our family (with two kids) was jammed tight next to rowdy table of 12 with Caps jerseys who were yelling cursing and drunk. They had just come from a Caps game. Yet half the restaurant was empty. I told the hostess at the end of the night, don’t jam people who want to talk next to the frat party table when you have plenty of space elsewhere. Bad seating ruins a dinner. Hostesses need to clue in on what makes sense and what is a bad idea. Literally the worst service we’ve ever received in a DC restaurant. It’s a shame — the host was so rude and the manager so unapologetic about it that we will never return. Great place for a date!! 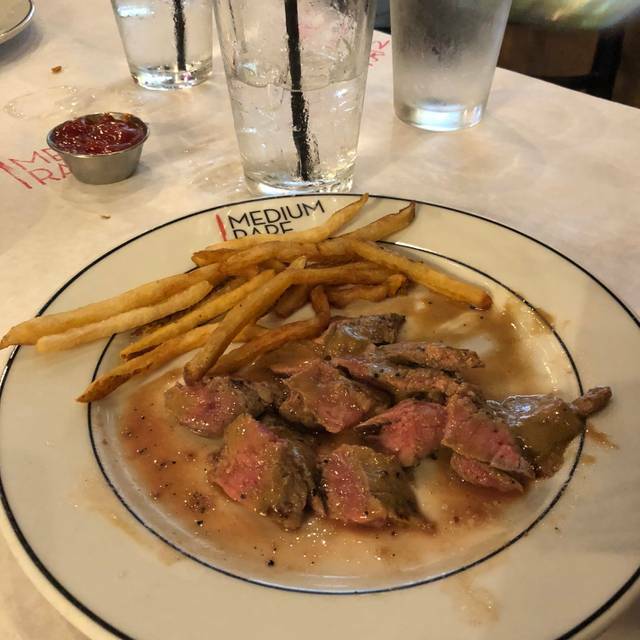 My steak was prepared pefectly and the fries were nicely done. They have a full bar with beer, wine and liquer (only 4 varieties). The service was good and I did not have any trouble parking. I would definitely recommend this restaurant. Worst restaurant my family and I have ever been to. The food was among the best I've ever had. 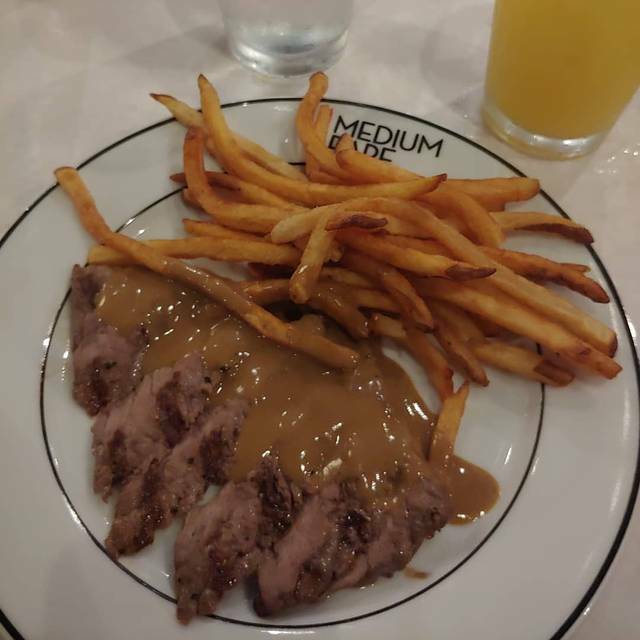 Superb steak and fries. Sauce was out of this world! The food was ok...the manager on duty Charmaine was dismissive, robotic and not accommodating. Very disappointed in the experience. Favorite restaurant in DC! Amazing food and the restaurant such a cool vibe. We came here for brunch and had a wonderful time. 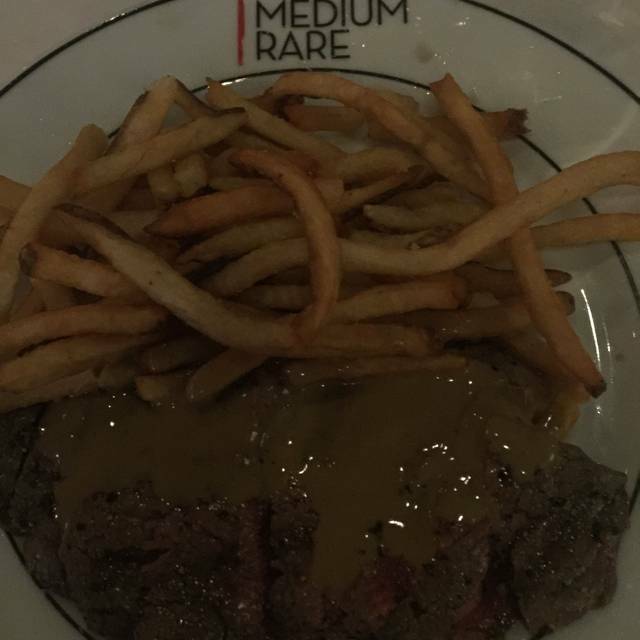 Medium Rare never seems to disappoint. We had 11am reservations and the place was empty for the first hour but we did felt rushed by the wait staff even though the place was empty. Our server was very nice and attentive. My cosmo was very weak so I sent it back when I revived the new one it was the plain gross. Very disappointed. Our food was good. Our server offered us a side of Portabella mushrooms. They came out looking like anchovies with zero flavor. Over all won’t be coming back anytime soon.